The title is definitely one of them. The explosive choral theme music blasting, the introduction of five new characters, the concept of the final smash, and the glories of every thing Nintendo character versus Nintendo character meant were embodied in the 2:32 opus. The hype did not die. I breathed it, bathed in it, and ate it. I shunned all information regarding the game until its reveal. And then… I was disappointed. Almost nothing about it felt right. Character slots were taken up by truly random inclusions and a few clones. The music was not what was promised. The physics were different. The entire tone of the experience was not what I was expecting. Of course, this isn't anyone's fault but my own for having expectations that weren't met. It's just that… some of Nintendo's decisions just seemed so bizarre. And now, with the brand new Super Smash Bros. (for Wii U/3DS) around the corner, I've kept my hype and expectations in check. That said, this list comprises the top 5 things that should be changed from Brawl in the newest entry. *Note: As not all information about the game is available, this list contains an ample amount of speculation. If any of my entries are incorrect, notify me in the comments. In a disturbing example of Nintendo living up to their stereotype of being behind the times, Masahiro Sakurai, the man and mind behind Smash Bros, was quoted as saying "Unfortunately, the movie scenes we worked hard to create were uploaded onto the internet. You can only truly wow a player the first time he sees [a cutscene]. I felt if players saw the cutscenes outside of the game, they would no longer serve as rewards for playing the game, so I've decided against having them." He's referring to the cutscenes used in the story mode of Brawl, which featured gorgeous artwork and exciting sequences (What Nintendo fans didn't explode with excitement as all of our favorite characters in their iconic ships did battle agains Ganondorf's massive cannon/battlestation/thing?) Because those scenes were put on the internet, it seems he's opted for a total lack of story-telling sequences all together. "Subspace Emissary" was the only place this would make sense. And on the lack of a story mode as a whole, to remove such a huge portion of the previous game is a mistake, especially with the supposed reasoning. Although the "Subspace Emissary" was flawed, going through it with a friend was a lot of fun, brawling through hoards of enemies a'la Streets of Rage or Golden Axe. If they were to include a single-player focused mode in the game, but not in the form of Subspace, I'd hope for something akin to Adventure mode in Super Smash Bros. Melee, which took the character of your choosing through the locales of many famous Nintendo games, and pitting them against familiar foes like Goombas and Re-Deads. As it stands now, there is no story mode in any form, and that is one heck of a shame. One of the very few tidbits of information I let myself take in about Brawl prior to its release, was this quote from Sakurai: "I can say that the game's music will be performed by a full orchestra. It will be a deluxe chorus complete with lyrics in Latin." As a fan of orchestral and choral music in gaming and beyond, I was beyond ecstatic. What a tremendous letdown it was to find that nearly none of that statement came to fruition. Sure, there are a handful of orchestral and choral pieces throughout the game, but the majority of its massive library consisted of the same synth-ridden remixes we'd had for years, along with seemingly random tracks plucked straight from the source games. A tremendous step backwards would be an understatement, considering that nearly all of Melee's music was orchestral. Lastly, Brawl had a "feature" that allowed the player to decide the frequency of a song playing in a certain stage, from a massive selection, rather than easily and efficiently allowing them to choose what it would be from the list at the on-set of a match. Since that "feature" will be returning again, I pray the option to simply choose a song and be done with it will be included this time. Just… I… why God, why? One of the worst tragedies in Brawl, and fitting in with the rest of the bizarre decisions, was the lack of a unique Target Tests for each character, and the set Classic Mode roster. Target Tests were an awesome way to help master your chosen character, as each had a unique course specified to their abilities. In Brawl, that was taken away. Likewise, Classic Mode in Melee featured a random assortment of opponents, culminating in a few set-piece battles and stages. Once again, fitting the theme of taking steps backwards, Brawl opted to have every Classic Mode play through feature the exact same opponents in the exact same order, much like the original Super Smash Bros. Coupled with the castrated Target Tests, playing through Classic with new characters to earn their trophies was an exercise in boredom and redundancy. The upcoming entry in Smash has four Fire Emblem characters, six Super Mario characters, four confirmed Pokemon, four confirmed Zelda characters, two Kid Icarus characters (Obviously because it's known for its well-developed and extensive lore), along with an artificial two Sami, a few more duos (Trio, in Kirby's case) and then some unique characters such as Little Mac, Captain Falcon, Mega Man and Pac Man and more. This will be lengthy so bear with me: I love that there is such an enormous cast to the game, especially with truly original choices like The Villager and Wii Fit Trainer, but I can't shake the feeling that same franchises just have too many participants. Hell, I'm still miffed about "Toon Link." An utterly wasted character slot for a character that is essentially the same as his elder self, but with highly minute differences. (The worst case of this scenario was in Brawl, with Fox, Falco and Wolf, all from Star Fox, and all playing relatively the same.) There should not be any wasted character slots with what are, more-or-less, re-skins. They left out Link/Toon/Young Link, Falco, Ness and Lucas. Why. Lastly, there is another baffling addition to the character chaos: Characters that were once one and the same are now separate, such as Sheik and Zelda, along with Samus and Zero Suit Samus. Why is this? The whole joy of playing Zelda was the ability to switch between two wildly different play styles on the fly. And I have a hard time believing anyone would choose Zero Suit Samus over her armored self. Why waste character slots like this? A solution to re-skin/clone characters like Link and Toon Link would be to have Toon Link be an alternate costume, offering the minor, different abilities he possesses. Mario could easily become Dr. Mario, along with the Dr.'s unique abilities in this way as well. … the brave warrior of Transylvania, who destroyed Dracula and lifted his curse from the land! Behold Simon Belmont, whipping Dracula in the face. Manliness personified. Simon and his clan were heavy-hitters on the NES, and as Snake's inclusion in Brawl showed us, Konami is willing to let some of the IP join the fight. We need more of this. Well, not exactly this, but close to this. He would, in my opinion, would be a heavy-hitting, but slow, fighter, who also has access to his various sub-weapons for ranged fighting. 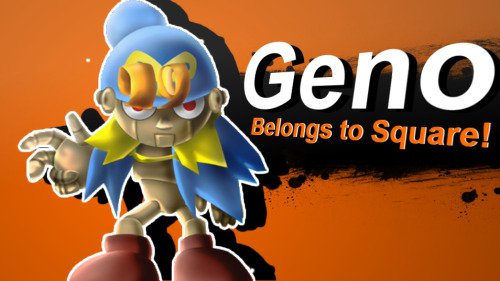 He'd be a perfect fit for the cast, bringing a new and fertile franchise to the Smash. And no one can tell me that a Castlevania stage would not be awesome. Crying just a little bit.